I love integrations – you know, those odd little bits of technology that allow one awesome tool talk to another. Integrations are so useful for automating, marketing, productivity, and of course getting things to happen that need to happen but won’t. For example, I use Infusionsoft as my CRM and marketing automation tool. I also use GoToWebinar to conduct countless trainings and workshops. When someone hits one of my landing pages to sign-up I want to capture that lead in my CRM or tag them if they are already there, but I also want to add them to GoToWebinar without making them complete another form. Through the magic of an integration tool, I can get all of that done without the person seeing it happen. 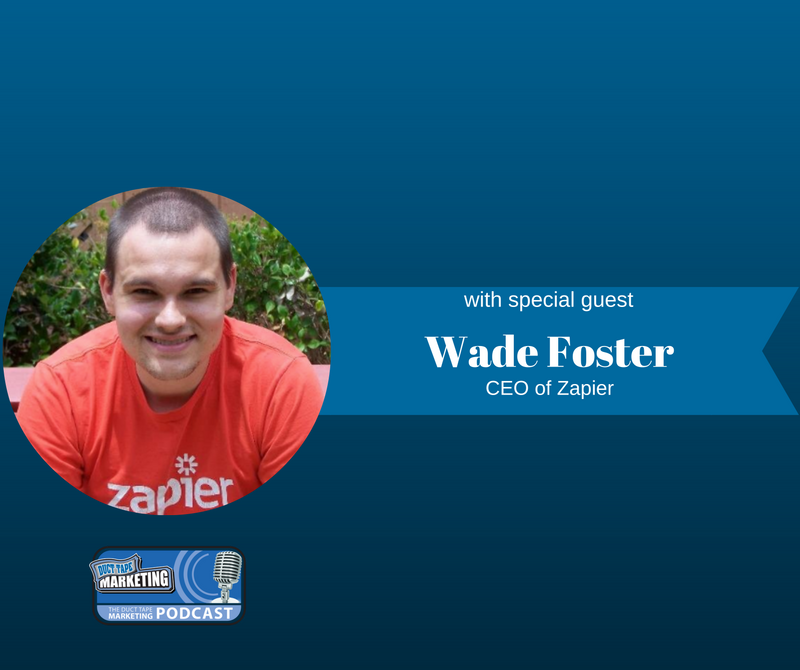 My guest for this week’s episode of the Duct Tape Marketing Podcast is Wade Foster, CEO and co-founder of Zapier. Zapier is a cool tool that has democratized integrations. Wade and I discuss marketing automation and how integrations can increase productivity and improve conversions. Wade knows all about automation and productivity. After a short stint in the corporate world, he teamed up with Bryan Helmig and Mike Knoop and they started Zapier as a side project. Now, connecting more than 600 integrated apps, Zapier employs a remote team of 55 employees world-wide. You had a unique strategy in your start-up phase where you charged for the privilege to be in your beta. What was the strategy behind this? What’s the competitive landscape of what you’re doing in integration? Do you use content in a different way to get people to convert than you do to just let people know you’re here and you have great stuff? Learn more about Wade Foster and his company, Zapier here. For more useful tips on integrations, marketing automation and how to effectively manage your business and your team remotely, check out Zapier’s library of educational resources here.